FREE for a limited time – Easy Portfolio – ePortfolio Tool for Students & Teachers. Download this educational app today to start getting organized for the upcoming school year. Easy Portfolio makes it simple for teachers to create ePortfolios for individuals, groups, or subjects. Individual student portfolios can be used to track student progress, highlight student achievement, monitor classroom behavior/work habits, and more. 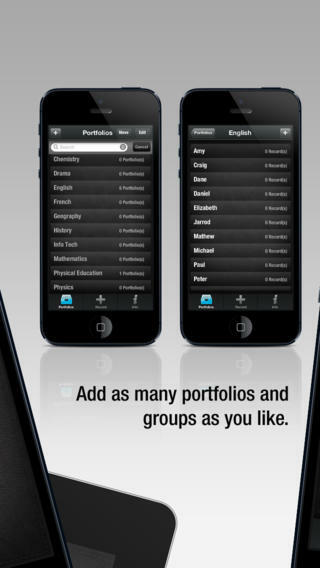 Subject portfolios can be used to organize teacher resources – videos, websites, images, etc. Imagine having everything you need to teach a unit or to make a presentation in one portfolio. The possibilities for using Easy Portfolio are endless. In the NZ Store it costs 2.59. Looks really good.